If you’ve checked out some friends’ or competitors’ Instagram profiles, you might’ve noticed some circles featured below their bios. 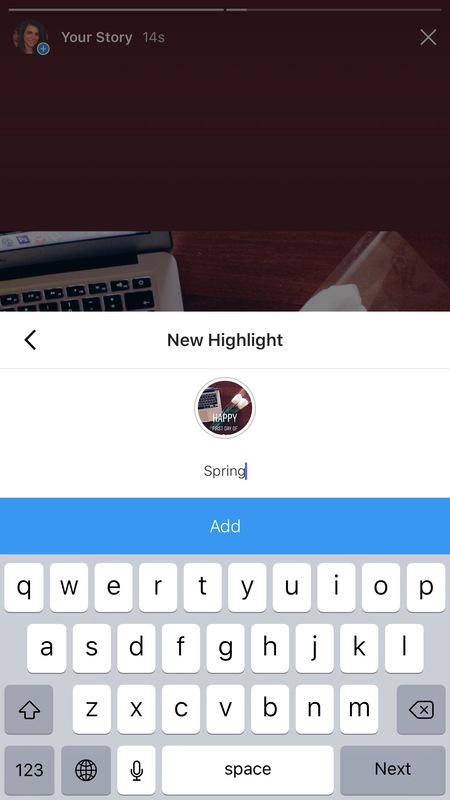 Some may be titled, while others might simply read “Highlights.” These are called Instagram Story Highlights, and through the release of this feature, Instagram has now allowed users to curate and post Story content right on their profiles. Instagram Story Highlights equip businesses to access, engage and convert their audience in new ways. But before we get into why Story Highlights are important and how you can use them for your business, let’s discuss how to post them. We love Instagram Stories here at Sked. 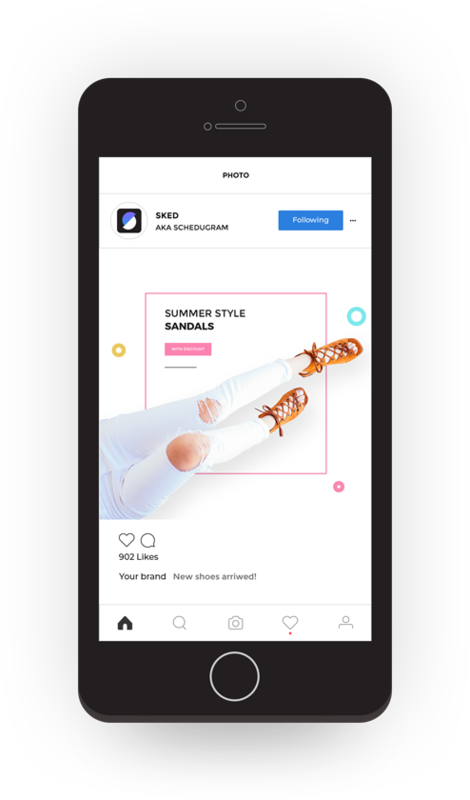 Not only are they essential for giving your Instagram profile a personality and aesthetic, but they are great tools for promoting products and accessing a new audience. There are two ways to Highlight an Instagram Story. The first way is through a live Instagram Story, which you can access through the Home page or your profile. Either way, tap on your profile image to open your live Story. In the bottom right corner, you’ll see a circled heart icon labeled Highlight. Next, choose whether you’d like to make your Story a new Highlight or if you’d like to add it to an existing one. If you create a new Highlight, you can add a label. (Leaving this blank will just label it “Highlights” on your profile.) We’ll discuss labels and cover images below. The second way to Highlight an Instagram Story is through your Instagram Archive. Access your Archive through the clock icon in the top right corner of your profile. 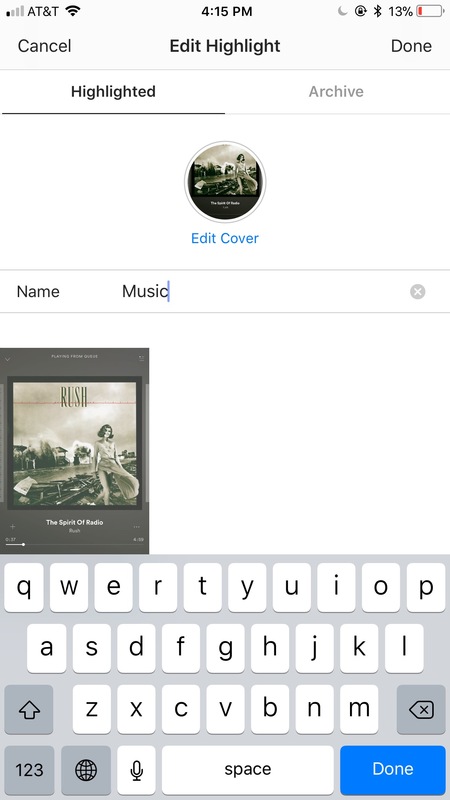 Tap the word “Archive” to toggle between your Stories and Posts. In your Stories Archive, tap on a Story. From there, you’ll see the same circled heart icon labeled Highlight. The process of adding a Highlight is the same from here. Of course, both these methods rely on you having already published Instagram Stories beforehand. One of the easiest ways to create and publish a Stories’ post is to do it using Sked. First, ensure your Sked account is enabled for Instagram story publishing by heading to your Billing/Profile Settings and switching it on. Next, visit the Upload Posts dashboard, select your Instagram account(s) and choose the Story posting type in the left-hand options. Be sure to select only Instagram accounts for Story posting as the feature will be disabled otherwise. Now, upload your content. (Note, you can upload your content from your computer, Google Drive/Photos, Dropbox, any Instagram URL or Canva). The next screen allows you to review your posts– add or remove as you wish. 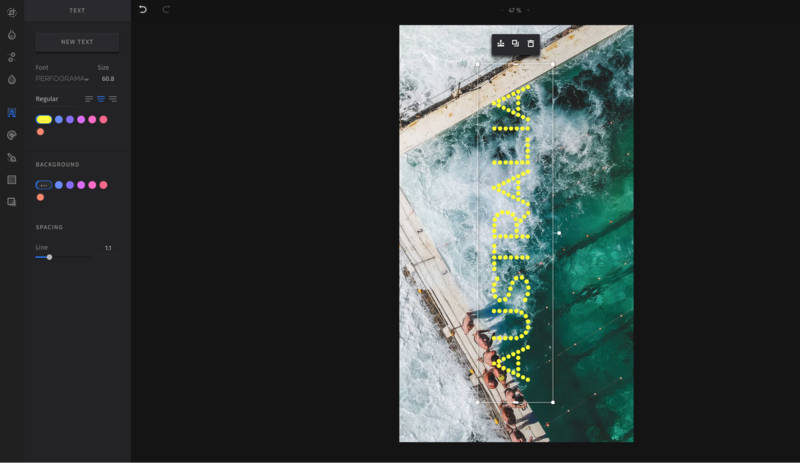 Make final edits to your post using Sked’s full-featured photo editor. Add text, emojis and more. 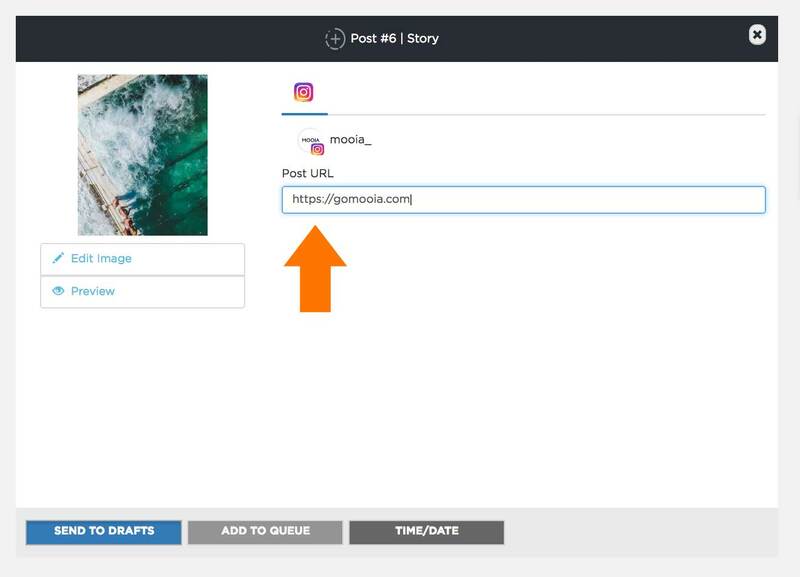 Finally, add your link (available for business accounts with over 10,000 followers) in the IG Story link field shown above and schedule at a time that suits you. How do Story Highlights help your business work around these limits? Let’s dive in. Converting social media followers into leads and customers typically involves bridging the gap between a social network and website or blog – by means of a clickable link. Networks like Twitter, Facebook, and Pinterest have no problem with links, but since its conception, Instagram has never offered more than one spot to place a link: the bio. Now, through Story Highlights, businesses can link to various product pages, blog posts or social media channels. 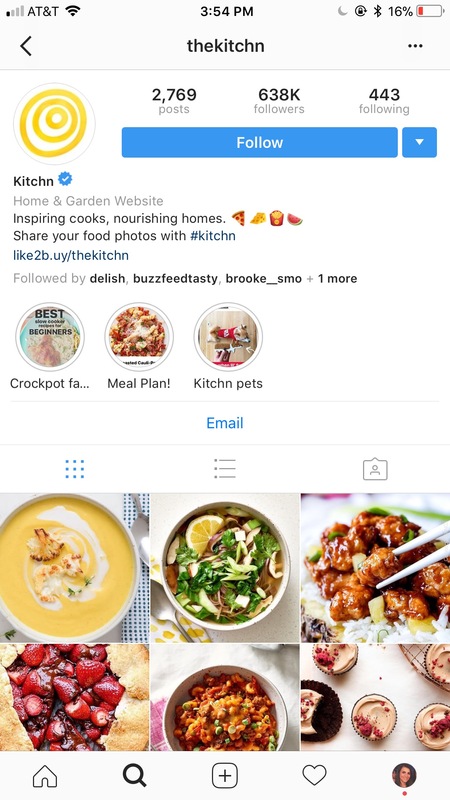 Instagram Business Profiles with more than 10,000 followers can add links to their Stories, thus Story Highlights. Below, we’ll discuss a few ways to leverage these links. Discover how to turn your Instagram bio into an automated marketing machine with Link-in-bio. 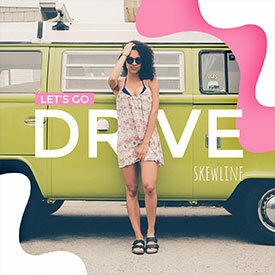 Drive targeted traffic and leads to any URL in the world when you schedule content through Sked. Instagram Story Highlights allows businesses to expand on their story. If they so choose, businesses can share more with their audiences through Highlights, such as a company culture video, team member headshots, or a link to their About Us webpage. Social media content is intrinsically fluid. Like a river, you catch posts here and there, but they eventually move on and down your timeline. In the last couple years, though, platforms like Twitter and Facebook have allowed users to “pin” content to the top of profiles and pages to increase its exposure to followers. Through Story Highlights, Instagram has effectively allowed its users to do the same. Highlights are essentially “frozen” posts that users can quickly discover and view, over and over. As a business, that makes your Story Highlights the perfect spot for your most important, time-sensitive, or promotional content. Let’s discuss a few creative strategies for your Instagram Story Highlights. Well-curated Instagram Story Highlights add value to your profile. Instead of simply Highlighting your favorite or best-performing Stories, here are six ways to make the most of your Story Highlights – and audience engagement. The ability to link from Instagram Stories makes Story Highlights the best spot to share new or recommended products. Create Highlight collections of new products, top sellers, or holiday lines (such as St. Patrick’s Day products or Christmas gift recommendations). Anthropologie uses Story Highlights to showcase and promote their product lines, such as their Chino Pants. Labeled “Chino 101,” the Highlight collection features a variety of Chino-focused photos, each with the link to shop. Take advantage of the permanence of Story Highlights to promote content updates. 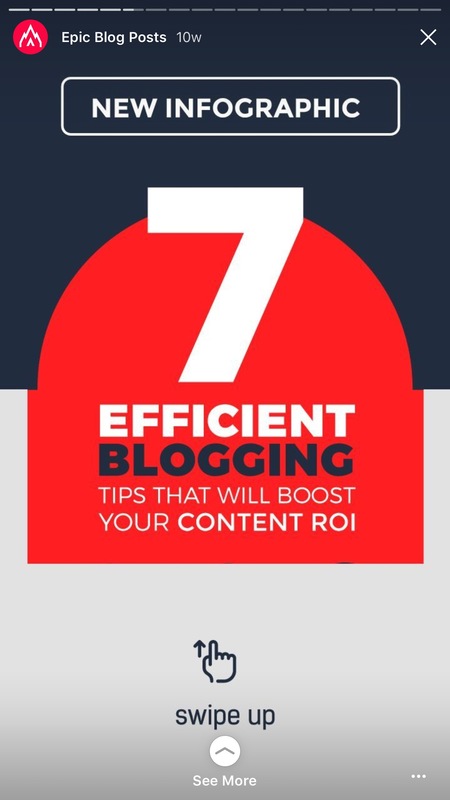 Post a text graphic and link to your blog post, and you’ll gain massive exposure from your profile. Every social media has its strength. For example, Pinterest is an excellent platform for showing off your brand’s aesthetic and taste, whereas Twitter is more appropriate for real-time updates and newsworthy discussions. Linking between your social media channels is a great way to grow your overall audience, but that’s not always easy on Instagram. Story Highlights allow you to share and link to other networks you’d like your audience to discover. Cross-promote your social content by posting a new YouTube video or Facebook group. 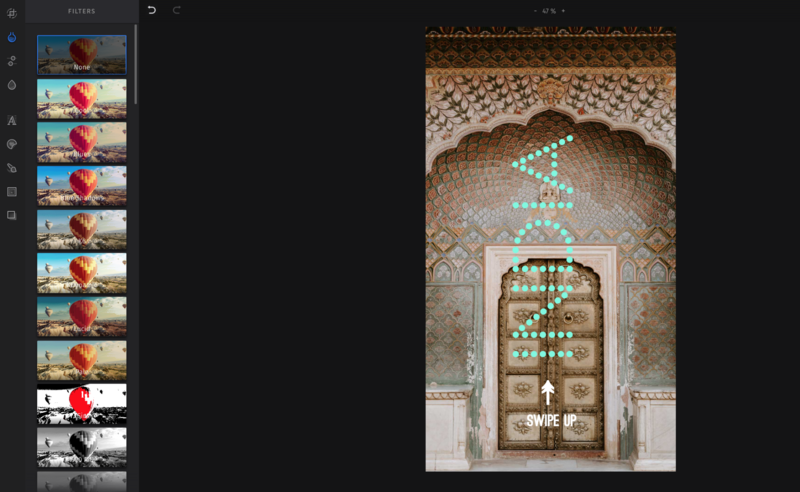 Feature your products in motion through Story Highlights. Whether you post a video or a collection of photos, let your followers click through your brand showcased in a new way. Use your Story Highlights to educate your audience with tutorials, tips, or tricks for your products or services. For example, a cosmetics company may post about makeup applications, whereas a food blog may share photos from a new recipe. The Kitchn features Story Highlights with different food tips and recipes. One in particular shares a variety of easy slow cooker recipes for beginners, complete with gorgeous images and links. Given the permanence of Story Highlights, many brands share information pertinent to their business or brand, such as posts on company culture, shipping information, or product reviews. Story Highlights act as a menu of sorts, giving your followers the chance to skim through information that’d otherwise fall far down in your feed. If you have content from your website that you’d like your followers always to have access to, consider adding it to your Highlight reel. 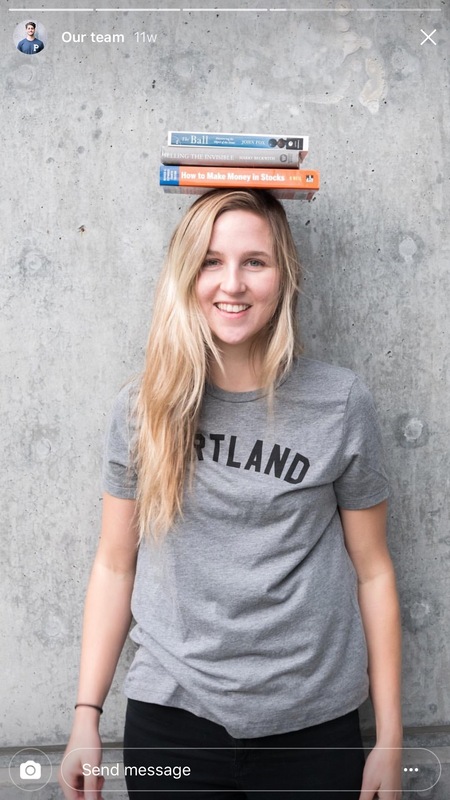 Portland Gear, a clothing brand based in Portland, has a Highlight labeled “Our Team” on their Instagram profile. They’ve simply uploaded images of their employees, but the Story Highlight immediately gives followers a sense of who’s behind the scenes of their favorite local clothing store. Social media allows brands to communicate with their consumers at eye level, per se. Instagram gives brands a personality and aesthetic and reminds users that there are people behind every company. People would rather do business with people, not faceless companies, and posting behind-the-scenes moments further enhances this feeling. Whether it’s a company culture video, images from a factory or production floor, or simply a snapshot of someone’s desk, behind-the-scenes content can go miles in converting followers to customers. L.L.Bean uses their Story Highlights to feature the judging process for their recent Puppy Contest. Not only does this solidify that the brand takes their contests seriously, but it also shows that they can have a little fun in the process. For a brand as big as L.L.Bean, it’s nice to see the people behind it. 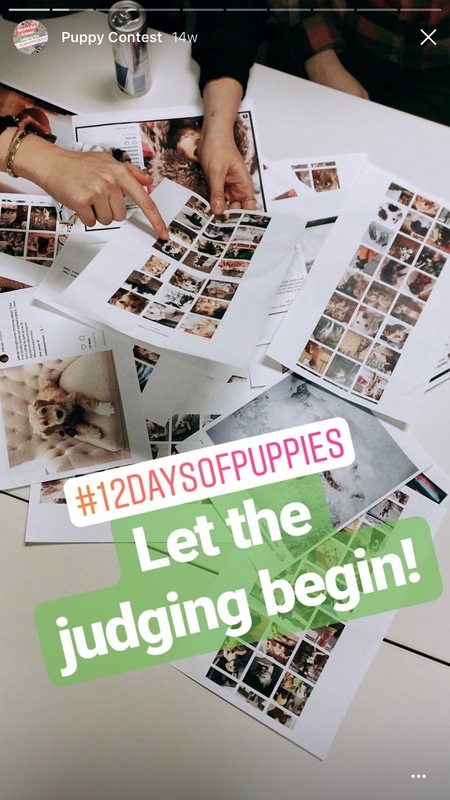 There are so many ways to leverage Instagram Story Highlights to market your company and connect with your audience. Other methods include highlighting your influencers, featuring customer photos (known as user-generated content), or simply reposting your best-performing images or videos. The possibilities of Story Highlights are endless. If you’re not sure how to best use them, just ask yourself: What content would add value to my audience and best connect with them? Whether you post a behind-the-scenes video or images of your products, there are a few best practices you should remember. These can help you maximize the impact of your Highlighted content. Be aware of the chronological order of Highlights. You cannot switch Stories around, so be sure to post them in the right order. This is especially important when sharing tutorial Highlights like recipes. It’s best to review your Story after you post it to ensure it makes sense! Each Highlight’s cover image and title are important. Choose a recognizable, relevant cover for each Highlight and title it appropriately. Don’t leave the word “Highlights.” To change this information after posting, open your Highlight and tap the menu in the bottom right corner. Click Edit Highlight, and you’ll have the ability to change the Name and Cover image. You can add Story content to more than one Highlight. If you have a specific image or video that fits into multiple categories, don’t hesitate to post it more than once. Instagram provides a wealth of marketing strategies for your business, and Story Highlights barely scratches the surface. If used correctly, Story Highlights can engage your audience and showcase your brand in a new, exciting way. They can also bolster your brand’s personality and aesthetic. Story Highlights are an important new feature for businesses, and we encourage you to add as many as you’d like to your profile! But Story Highlights are just the tip of the iceberg when it comes to social media planning. Streamlining and optimizing your social media accounts has never been easier, and that’s all thanks to Sked–your all-in-one social media management tool. No longer reserved for just Instagram, Sked lets users create, plan, schedule and automatically post to Facebook, Pinterest and soon, Twitter!